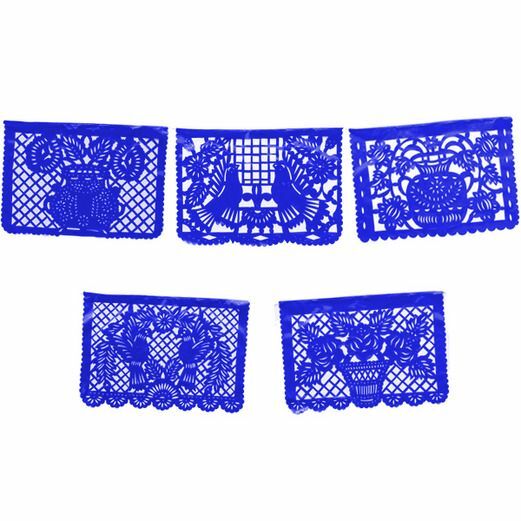 Our Large Royal Blue Plastic Picado is the perfect touch for any celebration. With hand-cut designs on each panel, this banner is a unique and fun decoration. Hang up our Large Royal Blue Plastic Picado at a Fiesta, Cinco de Mayo celebration, or Birthday party for a truly festive look. Size of each panel: approx. 18" x 13"